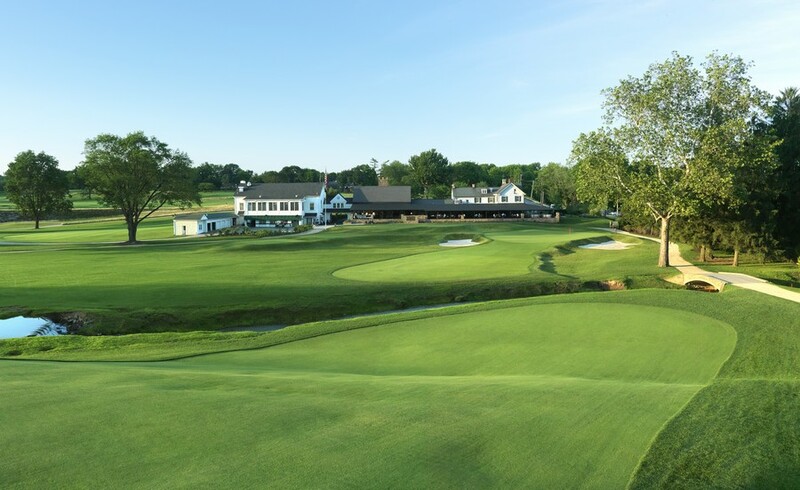 The Philadelphia Cricket Club is honored to announce that the Wissahickon Course will serve as the host site for the 2019 Big Ten Men's Golf Championship April 26 through April 28, 2019. "It is a privilege for The Philadelphia Cricket Club to host the Big Ten Golf Championship," said Philadelphia Cricket Club President John White. "Our Membership is delighted to have been chosen to host a conference so rich in tradition. I am certain the players from the 14 schools in 11 states that make up the Big Ten will find our golf course challenging and enjoy Philadelphia's great hospitality." The Big Ten Men's Golf Championships have been played since 1920, with 10 current Big Ten institutions having won at least one conference championship. The Big Ten Conference is an association of world-class universities whose member institutions share a common mission of research, graduate, professional and undergraduate teaching and public service. Founded in 1896, the Big Ten has sustained a comprehensive set of shared practices and policies that enforce the priority of academics in the lives of students competing in intercollegiate athletics and emphasize the values of integrity, fairness and competitiveness. The broad-based programs of the 14 Big Ten institutions will provide over $200 million in direct financial support to more than 9,500 students for more than 11,000 participation opportunities on 350 teams in 42 different sports. The Big Ten sponsors 28 official conference sports, 14 for men and 14 for women, including the addition of men's ice hockey and men's and women's lacrosse since 2013. For more information, visit www.bigten.org. The Philadelphia Cricket Club is one of the finest private family-oriented full-service country clubs in America. As the nation's oldest country club, the Club has a rich sporting heritage. The Cricket Club provides preeminent recreational and social experiences for its members, their families and friends by maintaining exceptional standards in its facilities, programs, services and professional staff. Sports offered include golf, tennis, squash, swimming, platform tennis among others. In 1920, the Club commissioned one of its members, the renowned A.W. Tillinghast, to create a golf course in Flourtown. Now known as Wissahickon, this Tillinghast course shows the work of a design genius at the height of his abilities. The course opened for play in 1922 and in 2013-2014, the course underwent a complete restoration. Due to the increasing amount of attention, Wissahickon was selected by the PGA of America to host the 2015 PGA Professional National Championship, by the PGA TOUR to host the 2016 Constellation Senior Players Championship, and by the USGA to host the 2020 U.S. Amateur Four-Ball. In 2018, Wissahickon was ranked 29th on Golf Week's top 100 classic courses in the United States.